1. 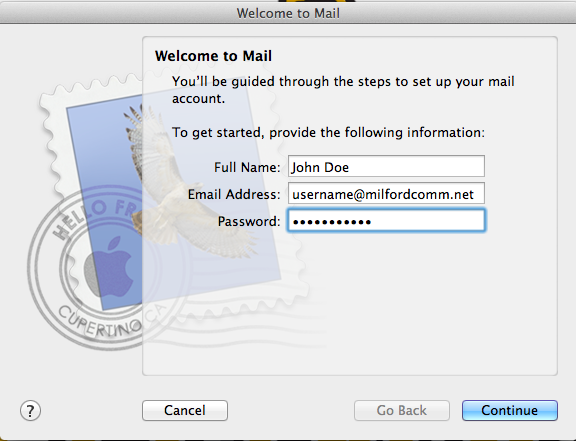 Launch Apple Mail from the dock. The icon looks like a postage stamp. 2. At the “Welcome to mail” screen enter your name, email address, and password. Then click the Continue button. 3. 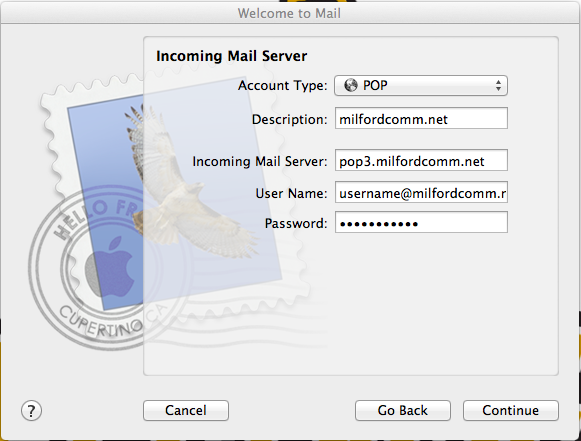 Enter information for the Incoming Mail Server. 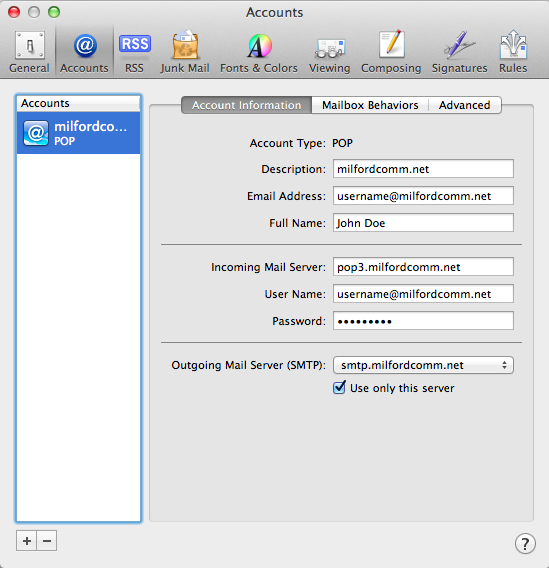 Set the account type to POP and enter your full email address for the username. 4. 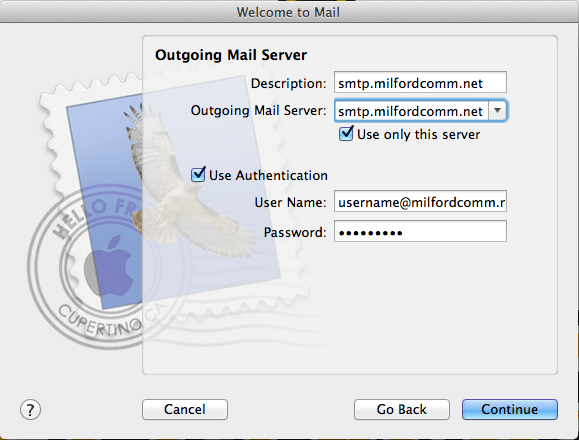 Enter information for the Outgoing Mail Server. Enter the full email address for the username. 5. 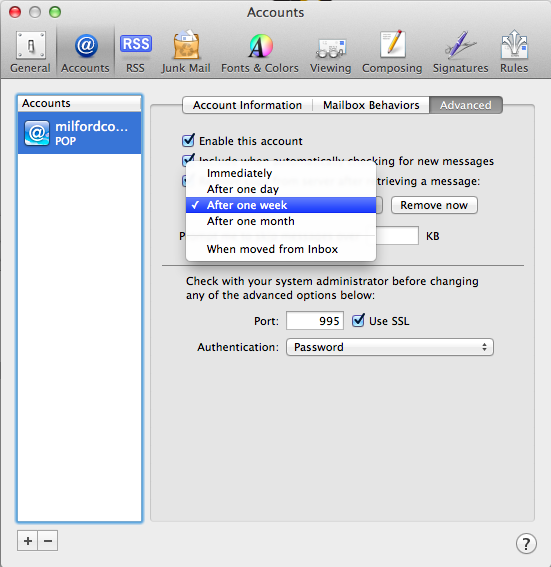 The next screen will include the account summary, it will leave SSL on by default. Click the Create button to create the account. 6. 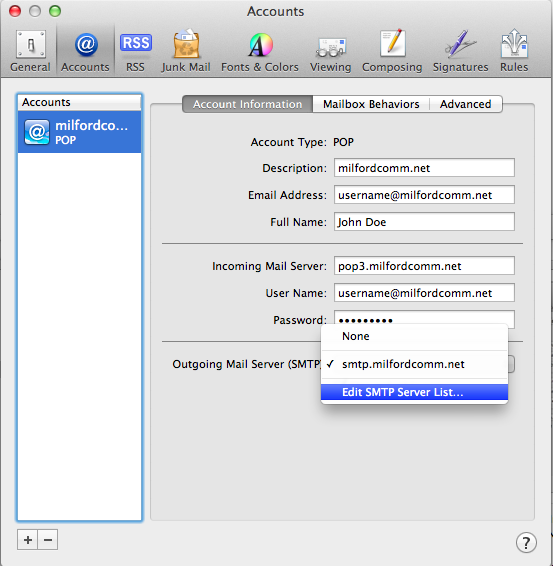 When the account has been created you can go into the Mail –> Preferences to edit settings if needed (if your email is working correctly for sending and receiving email, you do not need to make these changes). 7. Your account information screen should look similar to this. 8. 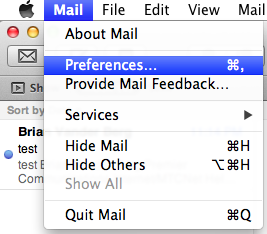 Under the Advanced button you can choose how long you want to leave email messages on the server. 11. 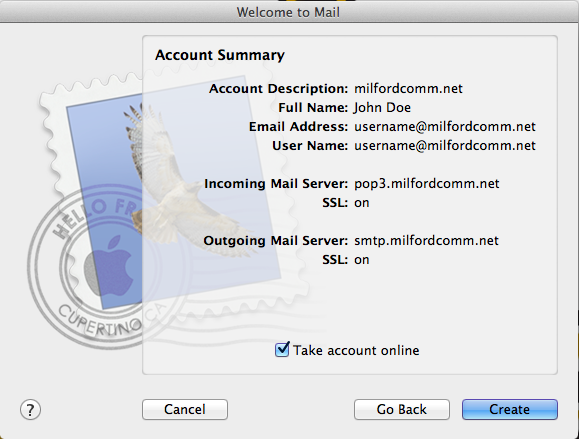 Highlight your outgoing server (smtp.milfordcomm.net) and select the Advanced button. 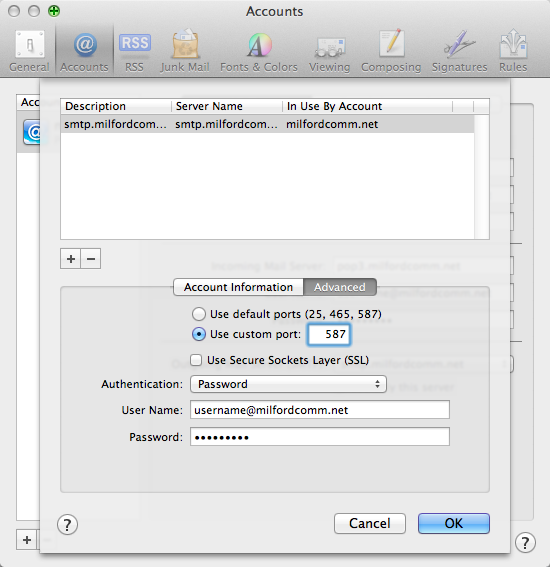 Select Use custom port and enter port 587 in the box behind this selection. 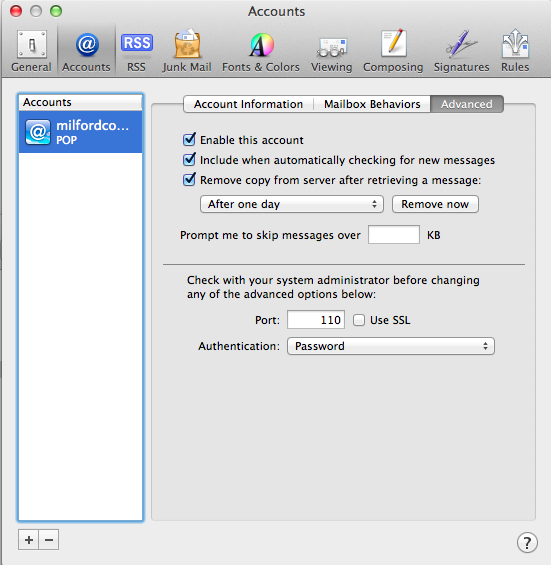 Set the Authentication to password and enter the full email address and password in the blanks beneath it. 12. Once you have completed this you can click OK at the bottom of this window and then choose the red button in the upper left to close the Accounts window. If it prompts you select the option to Save Changes.